Executives in the healthcare industry are constantly looking for more accurate ways to manage and balance their pricing strategies. It’s no secret that healthcare prices have skyrocketed over the last 20 years. It seems like everyone has a personal story (or knows someone) who has had sticker shock for a healthcare service. What Does Machine Learning Mean for the Healthcare Revenue Cycle? There’s no denying that Big Data is everywhere in our day-to-day lives. By some estimates, there has been more data created in the past 2 years than in all of human existence combined. The rapid evolution of technology is aiding the vast amount of choices we have in the consumer world to leverage machine learning in an effort to study our habits and predictively deliver what we are looking for, when and where we need it. We're pleased to announce that PMMC has been selected by JFK Health, based in Edison, NJ, for bundled payment analytics to manage the costs for the Comprehensive Care for Joint Replacement (CJR) Model. Be sure to join PMMC next Tuesday, October 18th for a webinar featuring The MetroHealth System, to learn how they are navigating price transparency requirements by offering online, self-service patient estimates. We know revenue cycle teams are very busy and often managing competing priorities. So what are their top initiatives today? A recent survey of 93 senior healthcare finance executives provides some insight. According to the survey from Connance and Porter Research, senior healthcare finance executives are more likely to implement updated IT and hire additional staff than contract with outside consulting services in order to optimize revenue cycle workflows. We're pleased to announce that PMMC has been selected by Cabell Huntington Hospital (CHH) for contract management and denial management. One of our most forward thinking clients, The MetroHealth System (based in Cleveland, Ohio), will share its experiences with consumerism, price transparency, and patient financial communications during an HFMA webinar next Tuesday, August 30th. Despite efforts to improve price transparency, 43 states received an "F" grade according to the Health Care Incentives Improvement Institute (HCI3 ) – Catalyst for Payment Reform (CPR) Report Card on State Price Transparency Laws. Las Vegas is the place to be next week (June 26-29) for healthcare finance and the revenue cycle at the annual HFMA National Institute (ANI). PMMC will be front and center in the exhibit hall, so be sure to visit us at Booth 123. It’s a disadvantageous situation from the beginning: It’s time to renegotiate payer contracts, but your hospital has a high volume of commercial contracts and payers are shifting to new reimbursement methodologies. Not to mention the contract language is open to interpretation.This is a situation Managed Care is placed in more and more often these days. These factors give leverage to commercial payers and make it difficult for hospitals to determine how the new contract terms impact net reimbursement revenue, especially when using tools like Microsoft Excel. It's estimated that nearly 7% of healthcare providers claims are denied by payers. The good news is that nearly 75% of these items can be successfully appealed and collected. However, this process is tedious and, more importantly, extremely time consuming for staff. Some payers are notorious for denying claims more frequently and are slower to pay than others. State Medicaid programs are known to be one of them. Medicaid state programs are among the slowest paying and least transparent payers, with an overall average denial rate of 18.5 percent (compared with 6.8 percent for all payers) and an average of 44 days spent in Accounts Receivable (compared to 26 days for all payers). Did you know that 80 percent of patients find a patient estimate to be helpful, but only about 25 percent of patients actually receive one? No April Fools joke here. Medicare's Comprehensive Care for Joint Replacement (CJR) ruling officially goes into effect TODAY in 67 markets leaving many hospitals accountable for the total cost of services across the entire episode of care for hip and knee replacements. The financial risk for hospitals is between $500,000 and $3 Million in payback penalties over the next five years. That's a lot of money. This is not an early April Fools joke. Medicare's Comprehensive Care for Joint Replacement (CJR) officially goes into effect on April 1st in 67 markets (the specific MSA's can be found at the bottom of this post), leaving many hospitals accountable for the total cost of services across the entire episode of care for hip and knee replacements. That's why we're partnering with Healthcare Business Insights (HBI) on March 15th for a webinar to help hospitals prepare for the financial impact of the CJR model. Healthcare Price Transparency Tested In 6 Cities - How Did They Do? From New York to Los Angeles and in between, researchers found it difficult, frustrating, and sometimes impossible to obtain patient estimates for routine medical procedures, according to a new study from the Pioneer Institute Policy Brief. Here's the scenario: Researchers called into 54 hospitals in six metropolitan areas (Des Moines, IA, Raleigh-Durham, NC, Orlando, FL, Dallas-Ft. Worth, TX, New York, NY and Los Angeles, CA) asking for the price of an MRI of the left knee. Generally speaking, this is a pulse check of how far healthcare providers have advanced in adapting price transparency. Hopefully your hospital's pricing strategy doesn't sound like this: “Prices were set in cement a long time ago and just keep going up almost automatically.” This was one Chief Financial Officer’s explanation of Chargemaster prices from the controversial 2013 Time Magazine article “Bitter Pill: Why Medical Bills Are Killing Us.” The article highlighted the extreme cases of high prices at hospitals and even called several hospitals (by name) into question. Although some of the findings in the report were later disputed, the article placed hospital pricing under a microscope and reinforced the need for defensible pricing. Automatic price increases might be the traditional route, but the strategy opens itself up to scrutiny, inefficiencies, and a potential loss in net revenue. Because of these factors and the recent emphasis on increased price transparency and defensible pricing, hospitals are moving away from the "across the board" annual gross price increase and towards a modeling approach to predict how charge adjustments impact net revenue. Not only does this give finance a clearer picture of future net revenue, it creates a defensible pricing strategy if prices ever come into question. We now have a better understanding of the financial implications of the Comprehensive Care for Joint Replacement (CJR) model, the new CMS rule that requires bundled payments for hip and knee replacements. “The health care system suffers from an overabundance of paper work” is how the American Hospital Association (AHA) begins its January 2016 Trendwatch report. There is a lot of discussion about Price Transparency in Healthcare across our country. Many state legislatures are getting involved, including Florida. Recently, Florida Governor Rick Scott announced he will encourage (some might say push) state legislation to require hospitals to post their prices for procedures and services as well as their average reimbursement on the hospitals' websites in early 2016. Florida Governor Rick Scott is not backing down on his push for price transparency for health services. Are Florida Hospitals Price Gouging? Florida Governor Rick Scott thinks so and he wants to add legislation to put an end to it. As patient responsibility continues to grow, point-of-service collections become increasingly important. According to a recent HFMA article, two-thirds of patients are consistently surprised by their bills and only 25 percent are proactively counseled about their cost of care. In response, hospital revenue cycle processes need to account for the shift in payment responsibility. Why Can’t Patient Registration Be More Like the Airport? Remember the days of waiting in line at the airport to actually have someone check you in at the counter? Those days are long gone in the airline industry, as airlines have adapted self-service kiosks, and more recently, mobile check-in to expedite the process even further. But this self-service model is still in the infancy stages in other industries, like healthcare. Hospital pricing has come under intense scrutiny over the past several years, from both government legislation and media attention. The pinnacle of the media coverage came in 2013 when Time Magazine released “Bitter Pill: Why Medical Bills Are Killing Us.” The article highlighted the extreme cases of high prices at hospitals (i.e. patients getting charged $1.50 for single aspirin or $74 for a roll of gauze). Because of the recent pressure towards increased priced transparency and defensible pricing, hospitals are moving away from the traditional annual gross price increase. 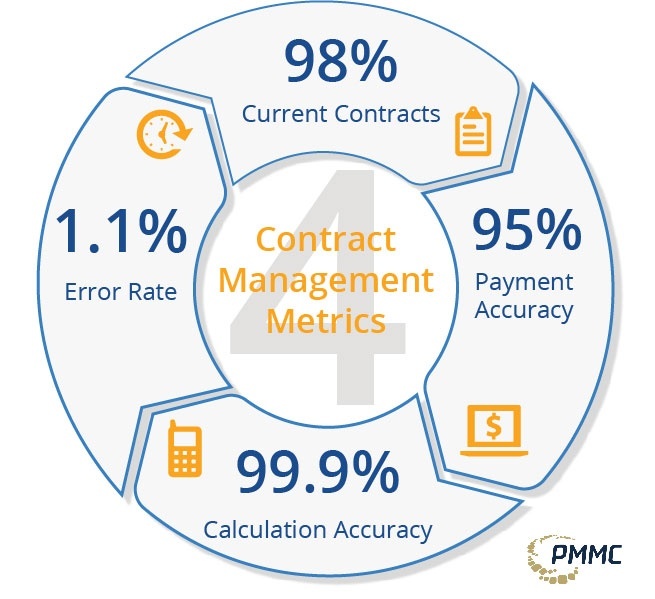 The hospital contract management system is the key to maximizing financial performance, minimizing risk, and ultimately managing all aspects of payer contracts to get reimbursed accurately. However, it’s becoming more and more difficult to predict reimbursement. As third-party payers shift from a “fee-for-service” or “percent-of-charge” reimbursement model to value-based reimbursement, contract terms, coding, and their interpretations inevitably become more complex.